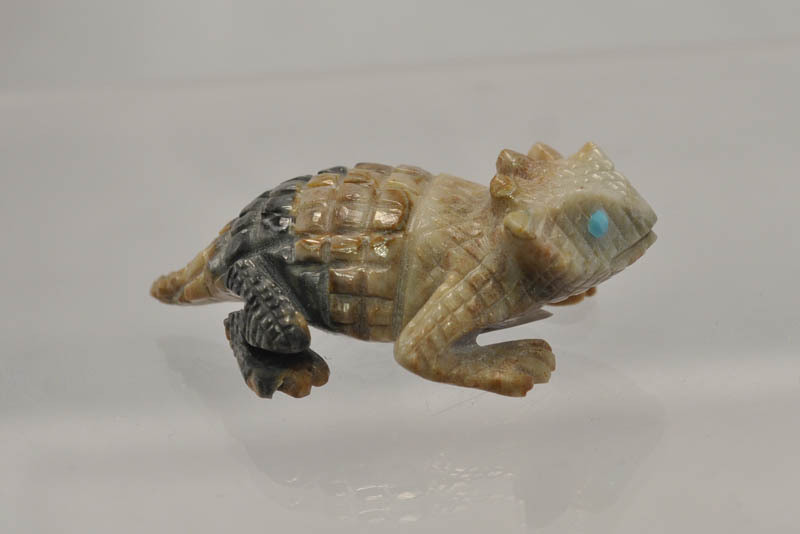 The horned toad and lizards represent many things to native cultures and collectors alike. The horned toad is often said to represent self-reliance and longevity. 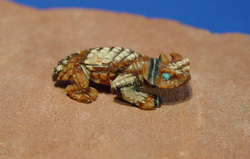 It can protect its owner from harm and symbolizes ancestral bounty. 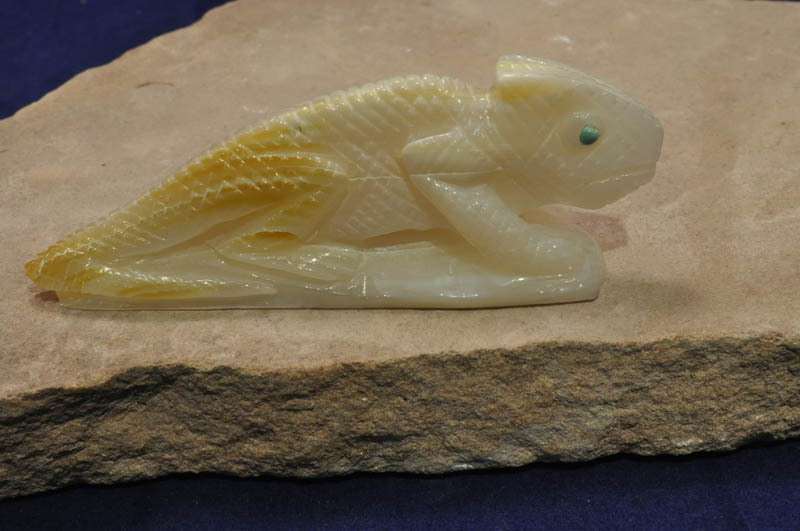 Lizards may carry dreaming and foresight powers, and hold within themselves ancient secrets. 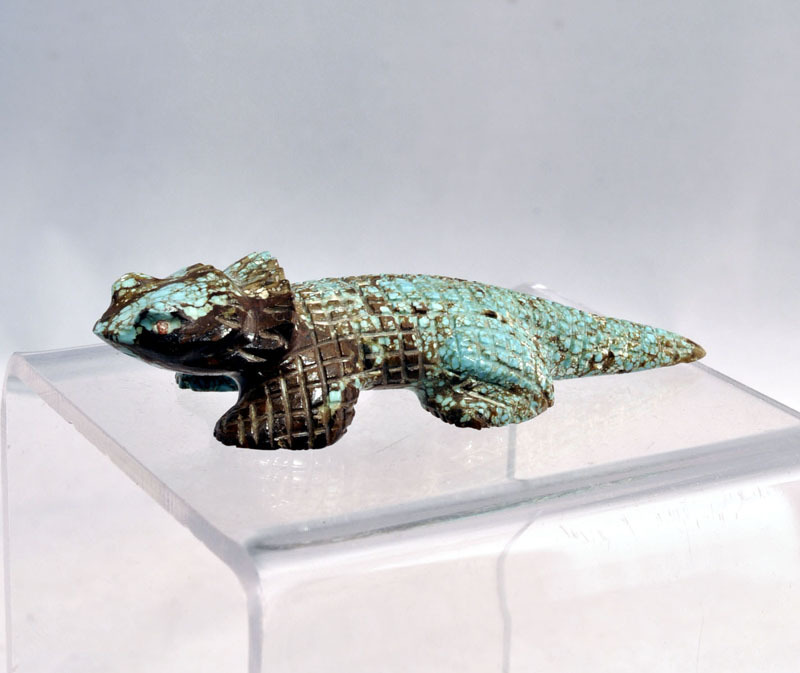 Horned toad and lizard fetish carvings are commonly carved, often in great detail. 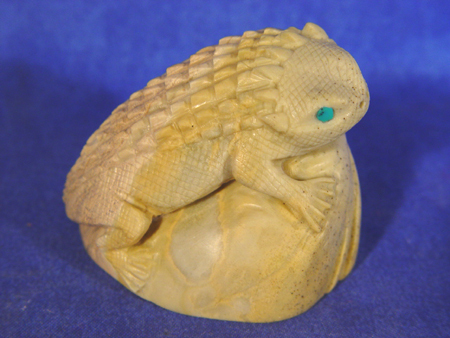 Matt Wood's Antique American Indian Art carries a great selection of Zuni Horned Toad and Lizard fetish carvings. Available fetishes can be viewed and ordered via our Online Catalog.